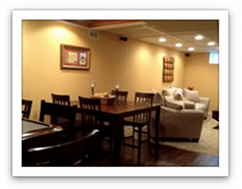 Lehigh Valley Home Innovations (LVHI) provides basement remodeling services for homeowners in the Lehigh Valley. Add value and maximize living space with a finished basement. Lehigh Valley Home Innovations will help you achieve the basement of your dreams as we guide your through each stage of your project. We will acquire the necessary permits to transform and upgrade your current basement to better suit your needs. Whether is it a new office space, mancave, bedroom, bathroom, home theater, childrens playroom or a home gym, we offer tangible solutions and implement the latest deisgn techniques to keep your home looking fresh and updated. Do you have a mold, mildew or water problem? LVHI can help you. In addition to creating custom finished basements, we can safely and effectively remove any mold or mildew and waterproof your basement to permanently prevent any future leaking. Water will leak into a basement through any opening it finds- in your walls, floors, and the joints between them. It is essential, when planning to finish your basement, that you incorprate a secure waterproofing system into those plans. LVHI services include foundation crack repair, sump pump installation, framing, drywall, and finished carpentry. 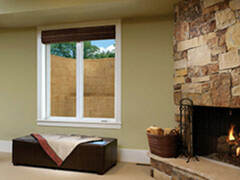 Visit our Services page for a complete list of what Lehigh Valley Home Innovations offer. Visit the LV Outdoor Innovations page for a look at our landscaping and hardscaping projects.